James can make $200 per day, what would be his annual income ( He works 5 days a week, 48 weeks per year) ? 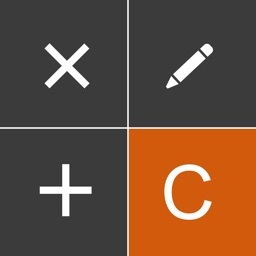 How many times of tapping a button to calculate his annual income? 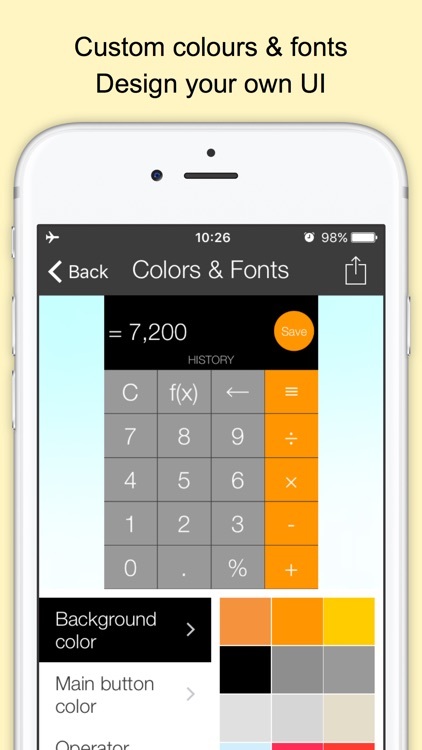 8 times on a normal calculator, 7 times on Xmart Calculator (you don't need to tap the '=' button). What if his day rate is $320, $400, $500...? What's the problem? 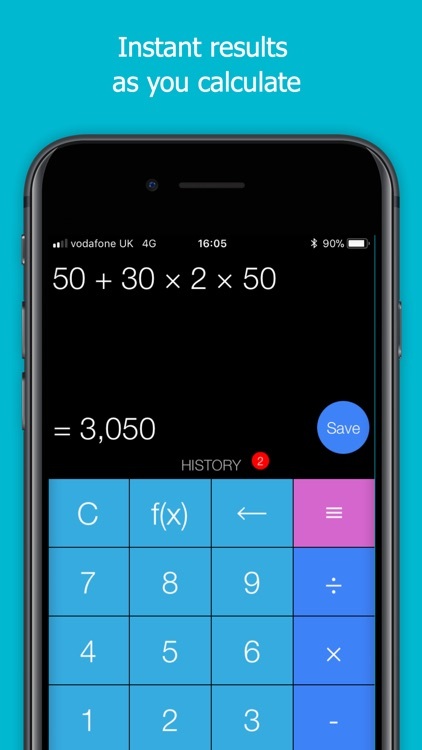 With a normal calculator, we have to enter the same buttons 'x 5 x 48' very time when the only value changes is just the day rate. Is there any way to just enter the day rate and the result will update automatically? 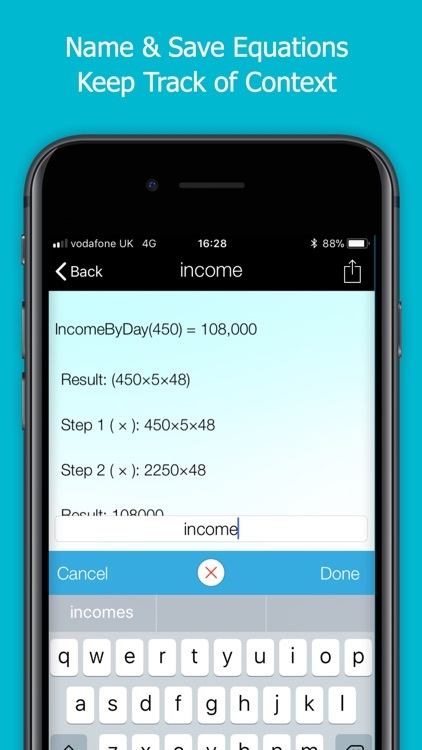 "IncomeByDay(X) = X x 5 x 48"
Then you can just select the function and enter the value for 'X' and the result will update straight away! 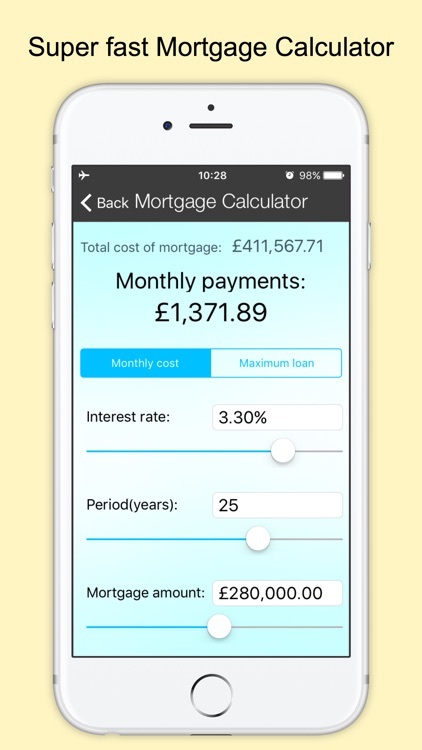 To get James annual income, you just need to tap buttons 4 times. 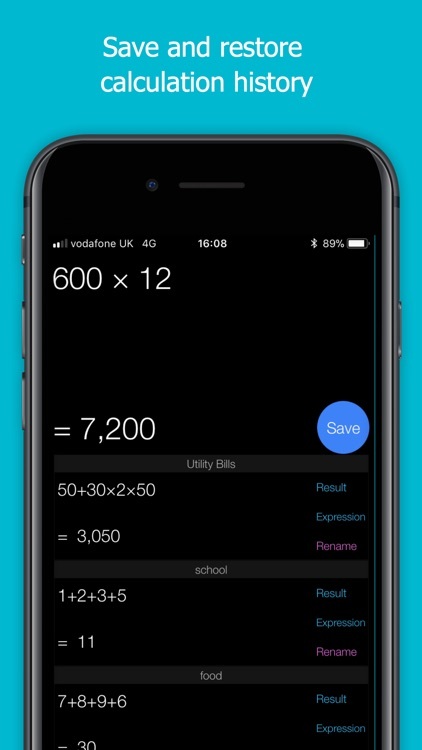 Xmart Calculator is appreciated as an intelligent, programmable and expandable calculator based on text expression. 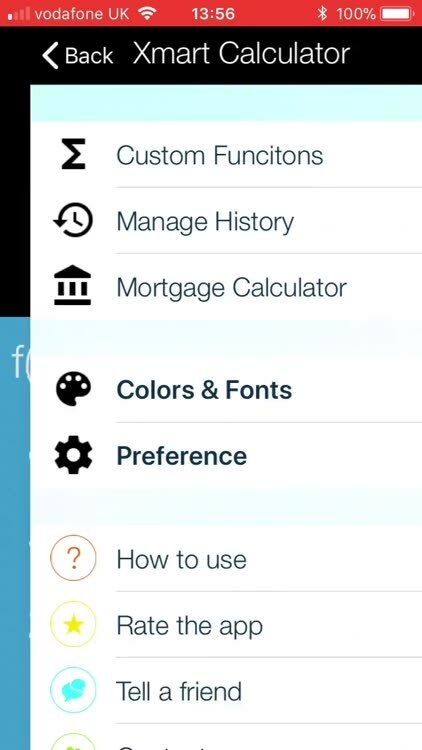 In addition to most of the common and scientific functions, users can also define personal functions. 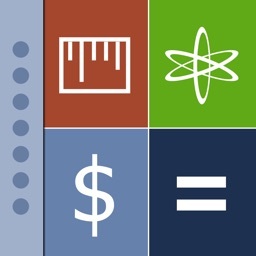 All calculations are step-by-step traceable. 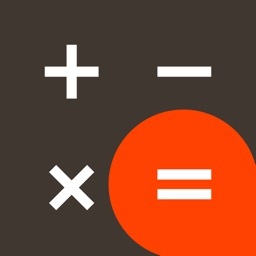 * There is no '=' button in this calculator app, it will calculate and show result as soon as the expression is updated. * Swipe up/down to hide/show the history records. 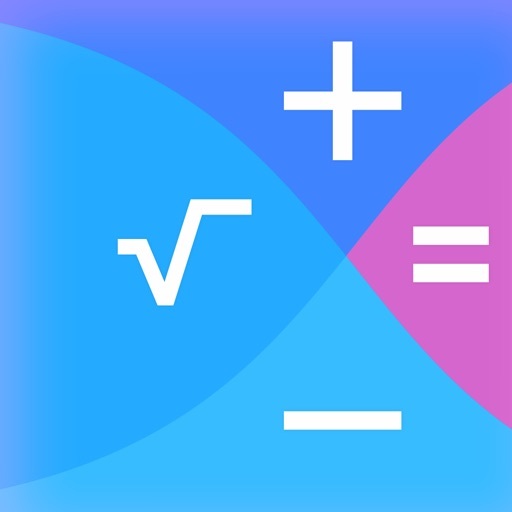 * Swipe left and right to hide/show the scientific/math functions. 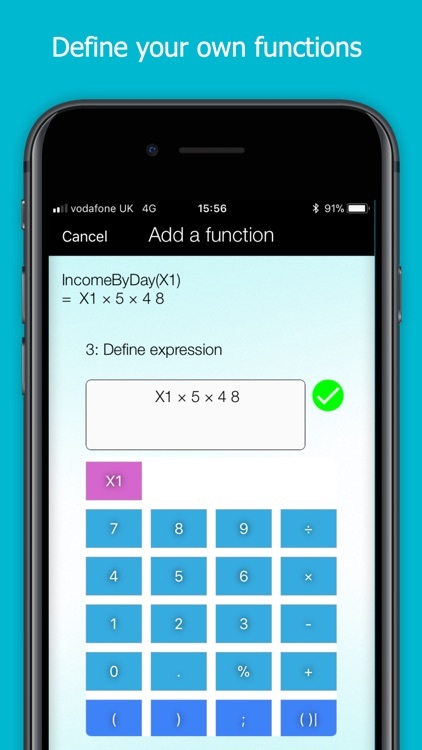 * Custom functions: user can define any algebra functions with up to 9 parameters. * Use a custom function in the main expression or play with it separately. 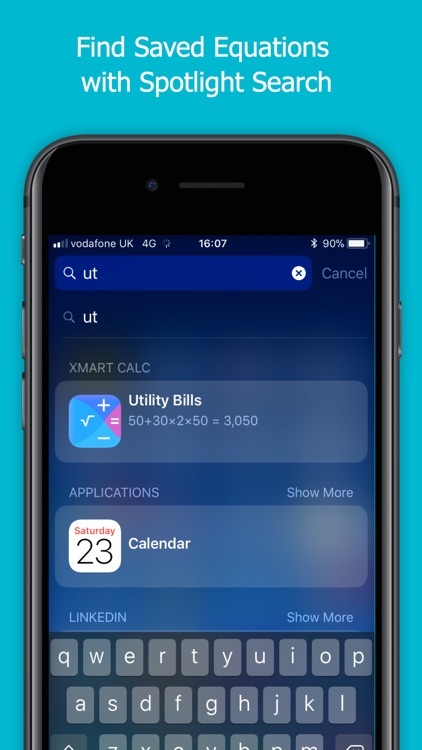 * Calculate and show result instantly when the input is updated. * Support most scientific math functions. 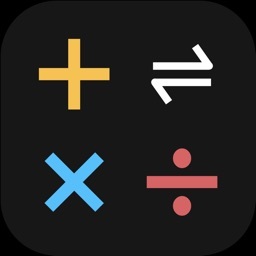 Today’s AppsGoneFree list includes a puzzle game, a calculator, and a photography app. 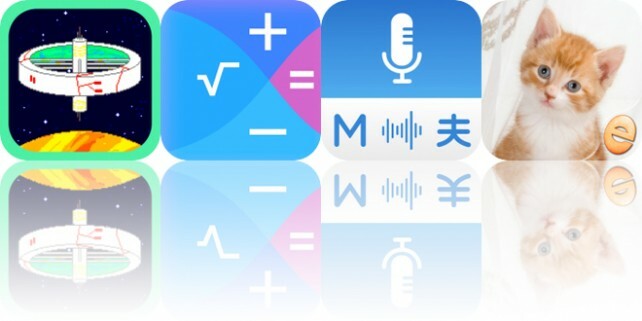 Today’s AppsGoneFree list includes a sim game, a calculator app, and a language app.